Tik tok is the world’s largest creative platform where millions of users upload their videos daily. But unfortunately, the app doesn’t allow its users to download the videos and sharing on other social media platform. Don’t worry, we have a saviour! Video downloader for Tik Tok has cool features that allow you to download videos from tik tok in seconds for free ! 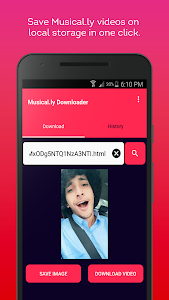 ☆Fetch Videos and Images: Get videos and thumbnail of any musical.ly shared URL. ☆History: Browse and play history of downloaded tik tok videos from app. 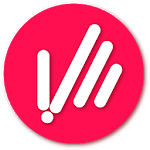 ❶ Copy tik tok videos url from official app and paste the link on url field. ❸ Check your internal storage for sharing your saved media on other social media platform. -This app is by no means affiliated to tik tok™. We are leaving no stones unturned to bring the best musical.ly video downloader app to you. 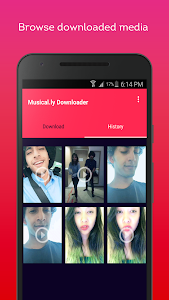 Install the app from Play Store, now and keep videos of your favorite users in your phone. We tried to put one in all video downloader for musical.ly to you. If you have any query or problem regarding this app, let us know at [email protected] We would love clearing your doubts.